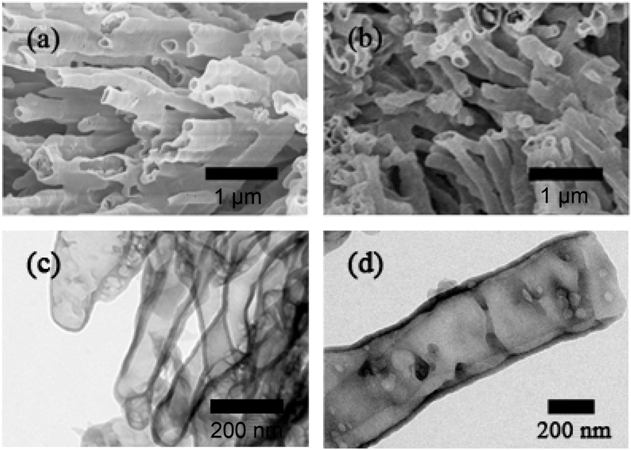 One-dimension carbon self-doping g-C3N4 nanotubes (CNT) with abundant communicating pores were synthesized via thermal polymerization of saturated or supersaturated urea inside the framework of a melamine sponge for the first time. A ∼16% improvement in photoelectric conversion efficiency (η) is observed for the devices fabricated with a binary hybrid composite of the obtained CNT and TiO2 compared to pure TiO2 device. The result of EIS analysis reveals that the interfacial resistance of the TiO2-dye|I3−/I− electrolyte interface of TiO2-CNT composite cell is much lower than that of pure TiO2 cell. In addition, the TiO2-CNT composite cell exhibits longer electron recombination time, shorter electron transport time, and higher charge collection efficiency than those of pure TiO2 cell. 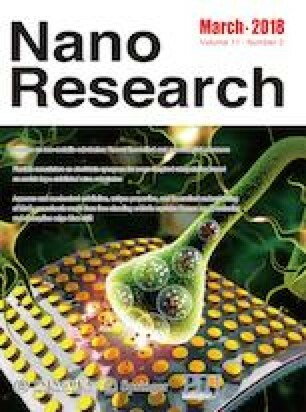 Systematic investigations reveal that the CNT boosts the light harvesting ability of the photovoltaic devices by enhancing not only the visible light absorption but also the charge separation and transfer. Supplementary material (Tables S1–S4, XRD, SEM and TEM images, XPS spectra, and charge collection efficiency of cells) is available in the online version of this article at https://doi.org/10.1007/s12274-017-1747-4. This work was supported by the National Natural Science Foundation of China (NSFC) (Nos. 21501052 and 21471050), the China Postdoctoral Science Foundation (No. 2015M570304), the Postdoctoral Science Foundation of Heilongjiang Province (No. LBH-TZ06019), the Science Foundation for Excellent Youth of Harbin City of China (No. 2016RQQXJ099), and the Innovative Project of Postgraduate of Heilongjiang Province (No. YJSCX2017-153HLJU).